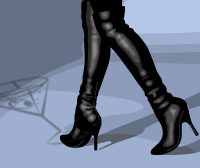 Do we need this? Scotch Whisky in a CAN? 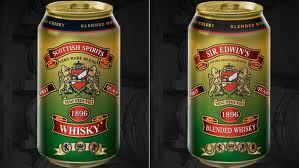 At long last, Scotch whisky in a can, yes we said a can, is entering the US Market! Both single-grain Scotch whisky and blended Scotch whisky will be coming to the US in a new and innovative way. Scotch whisky in a can is the first ever hard liquor – 80% Proof – to be packaged in a 100% recyclable aluminum can. Scottish Spirits in a can is a product of Scotland and will be available nationwide at over 100,000 liquor stores beginning December. What a great gift for the Scotch whisky drinker on your list! Put in a single can of Scottish Spirits as a stocking stuffer or wrap up a whole six-pack! Imagine being the first to bring a can of Scotch whisky to a party! Not only is it convenient and portable, but it’s just plain fun and what a conversation starter. However, Scottish Spirits isn’t just about the can, our Scotch whisky is an exceptional blend of the finest malt and grain having a rich honey, vanilla, butterscotch, apples and pears taste with a nice hint of peat and smoke in the background. This fine beverage is distilled and matured in Scotland for a minimum of 3 years in oak casks. Scottish Spirits in a can is meant to be enjoyed on the rocks, straight-up or mixed with your favorite mixer. The can is specially manufactured to keep the product tasting great, however, this isn’t a one-serving beverage – the can is the right size for three people to share and with 40% alcohol volume, 80% Proof, you can decide how to enjoy it! Perfect for poolside, a tailgate party or when boating, the can is a handy way of enjoying the beverage without the concern of breaking glass. Benefits also include a long shelf-life allowing consumers to stack-up and stock-up! Scottish Spirits can be purchased and enjoyed in a recyclable aluminum can (12 fl oz./355ml.) The US suggested retail price is $5 for a single can. Prices may vary. The company has its own distribution centers in Europe and in the USA. For more information on becoming a qualified distributor or importer of Scottish Spirits, please visit www.scottishspirits.com . SOURCE Scottish Spirits Imports, Inc.